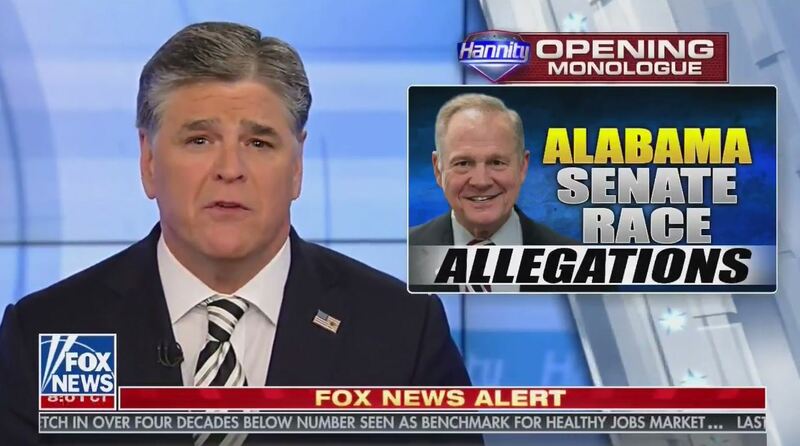 Over the past two days, Hannity, who endorsed Moore’s campaign in September, has alternated between saying that the accusations are disgusting and Moore must leave the race if they are true, and providing his audience with every reason under the sun why they should not believe the story. 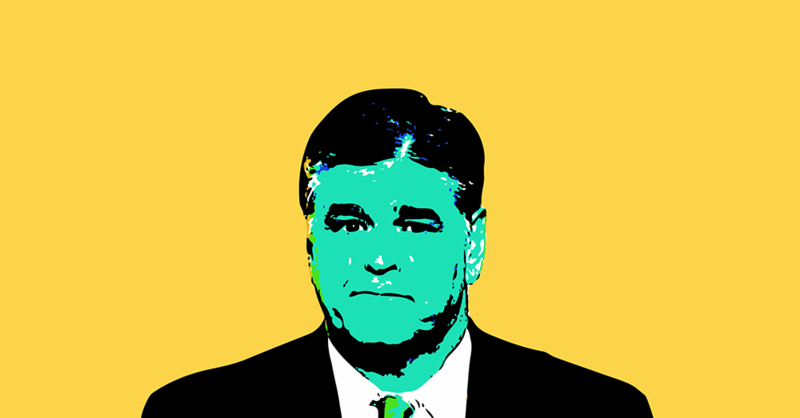 He and the guests on his radio and television shows have warned that the allegations are “he said, she [said],” suggested that the women are lying, claimed that women in such cases frequently fabricate their stories for money, asserted that the story is “suspicious… because of the source, The Washington Post,” and lashed out at those who have criticized Hannity’s response. That pattern continued to play out during the interview. While Hannity did provide a bare minimum amount of due diligence by asking Moore to answer specific questions about the allegations in the Post’s report, he failed to hold Moore to account for his answers, allowing him to obfuscate, provide inconsistent answers, and pick up on defenses laid out by Hannity. At one point during the interview, Moore responded to a question from Hannity by highlighting Hannity’s own defenses of the candidate, saying, “Just like you said, they’re doing it to defeat this Senate campaign.” Later, Hannity opened a question by stating, “a lot of things come up during elections, this is not my first rodeo, Judge.” Hannity continued, “I know a lot of people rush to judgement” and ran off a list of individuals who he felt were wrongly accused, including George Zimmerman, who shot and killed Florida teenager Trayvon Martin in 2012, and Darren Wilson, the police officer who shot and killed Missouri teenager Michael Brown in 2014.